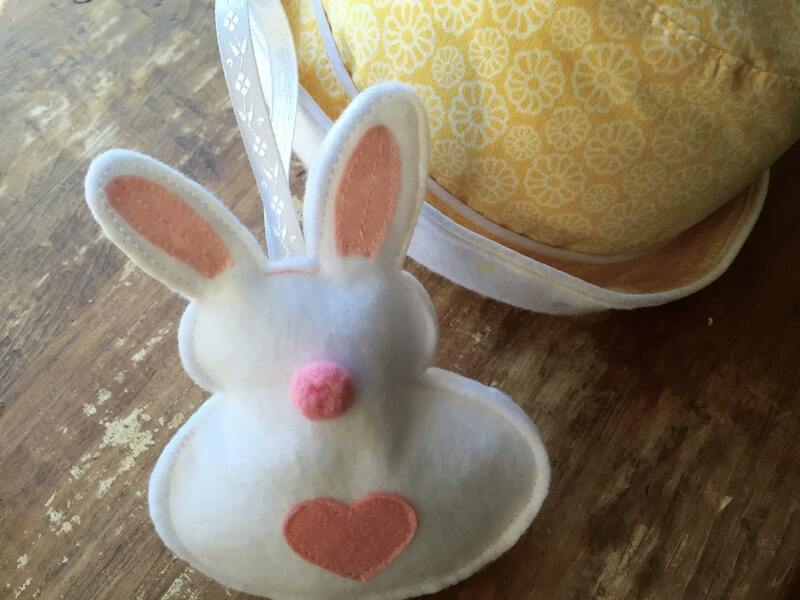 Sunny yellow cotton and flannel bunny hat is just right for little heads, add a stuffed bunny friend for an extra special gift! 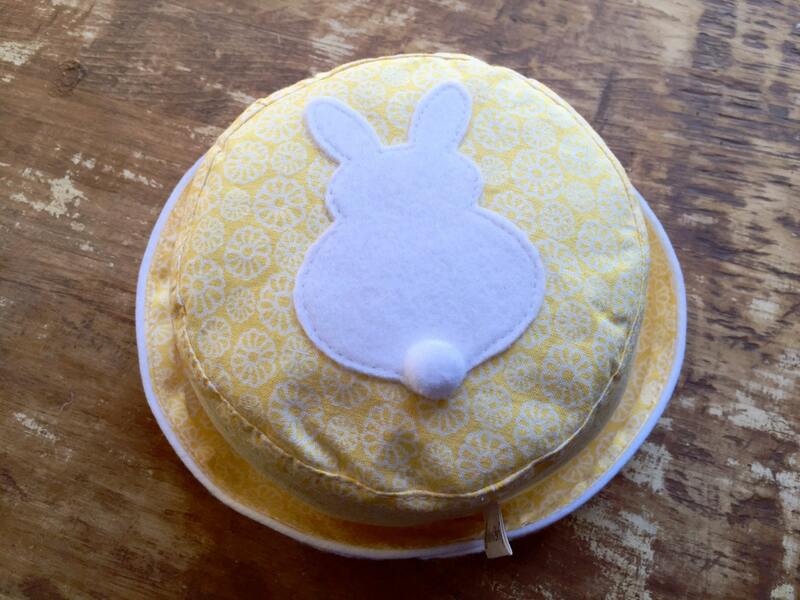 Hat is made with yellow cotton material with flower motif decorated with an adorable hand made felt appliqued bunny on the top with a fluffy pom pom tail. 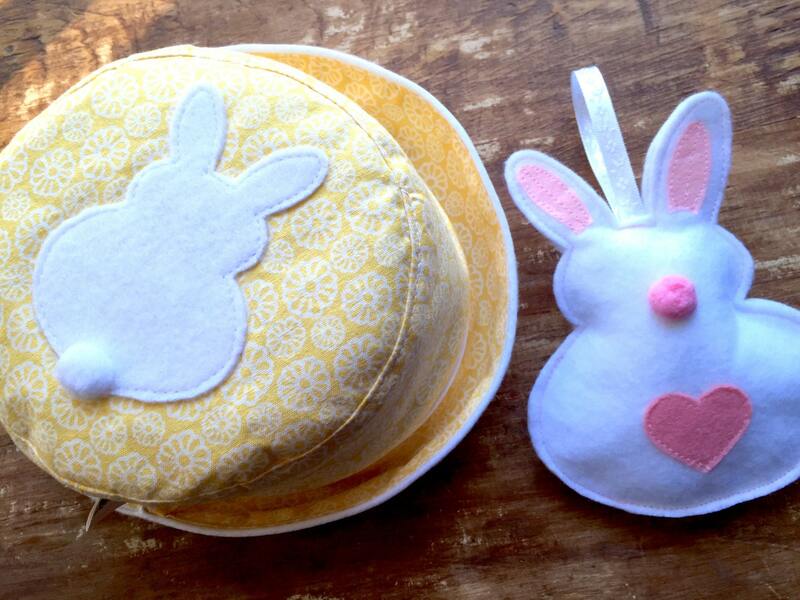 Hat band and brim is trimmed with pretty white piping and is lined with soft white flannel with tiny gray, yellow and pink hearts. 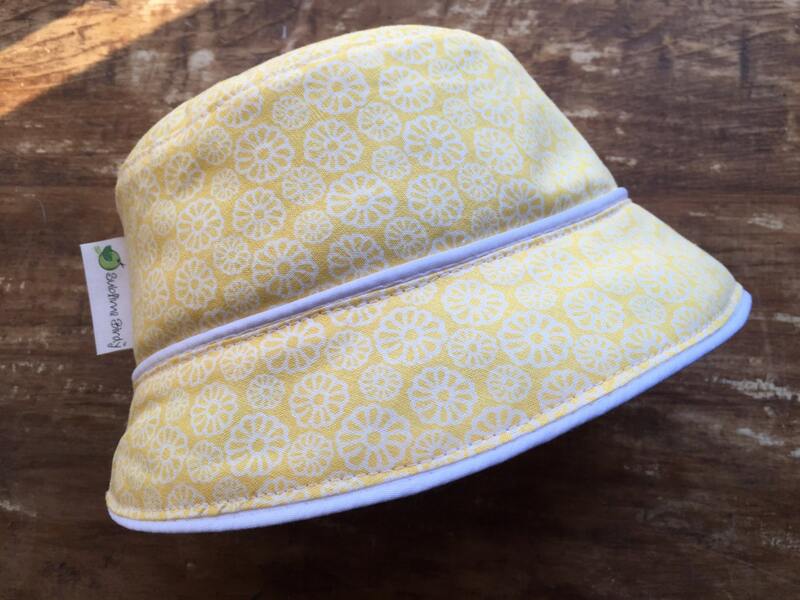 Brim can be dropped to keep sun out of baby's eyes and flannel inside keeps little heads warm on a cool spring day. 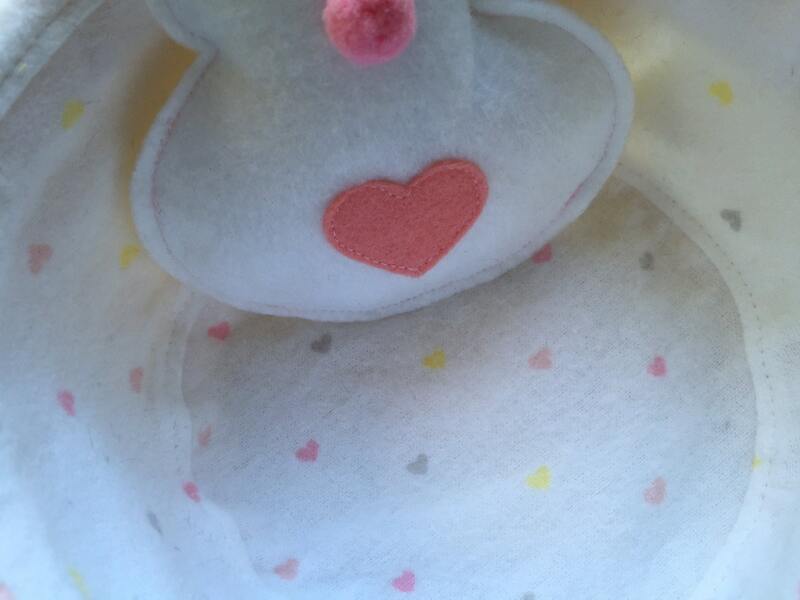 Bunny friend is made of thick white felt and decorated with pink pom-pom for a nose, pink felt ears, and pink felt heart on his belly and stuffed with polyfill. Bunny measures 6.5 inches tall x 4.5 inches wide. Materials have been pre-washed and hat can be easily hand washed in cool water, hung to dry and iron or steam out the wrinkles. Five hat sizes available. Approximate ages are also given if you do not have a child nearby to measure, but the most accurate measurement is based on the circumference rather than age. Adorable! Love it! Quick and easy purchase and delivery!